Epcot to Add Spanish Pavilion? According to published reports, The Walt Disney World Resort's Epcot Center plans to open a Spanish pavilion. The project was presented in Madrid on Wednesday by officials from the Spanish Economy and Treasury Ministry and The Walt Disney Company Iberia. The new pavilion will "spread the image of the Spain of today in the United States, providing insight into its traditions, culture and products, and improving its position in the world," ministry officials said. Major Changes in Store at WDW! You Spoke. Disney Listened. Early Entry returns, under a new name! Beginning October 1st, Walt Disney World will unveil the new "Extra Magic Hour" program giving exclusive time at the theme parks for resort guests, at no additional charge. Each day, one of the four parks will open one hour early on a rotating basis to Disney resort guests. This also means the end to the Character Caravan. More characters meeting guests in the Magic Kingdom, with more characters strolling the park than ever before. More character meet and greets in Epcot's World Showcase. The popular "Princess Storybook Breakfast" at the Norway Pavilion in Epcot will become a regular offering. The Beauty and the Beast stage show at Disney-MGM Studios expands to a seven-day-a-week schedule. Mickey's Not-So-Scary Halloween Party expanded to seven nights! Live entertainment is being added to this year's Epcot International Food & Wine Festival with the "Eat to the Beat" music series featuring "The Temptations Review," "The 5th Dimension," "Sister Sledge," and "Chubby Checker," among others. Disney's The Hunchback of Notre Dame - A Musical Adventure will give its final performance on September 28, ending a 7-year run at the Disney-MGM Studios. 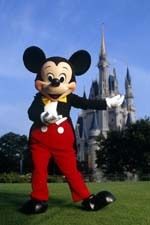 Walt Disney World is extending the 100 Years of Magic Celebration through February 28, 2003! Great Savings for Canadian Guests! 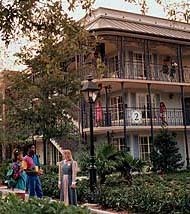 From 10/3 to 11/25/02 and 11/30 to 12/25/02 when you stay four or more nights, Disney is offering at par rates for Canadian residents at the Walt Disney World Resort. Payment to be made in US dollars based on an exchange rate of $.62 USD = $1 CAD. For example, if the room rate is $77 Canadian, you will pay $47.74 in US dollars. In some cases, Canadian residents can save 25% off their room rate. But hurry! The number of rooms in this promotion is limited. Book now! Reference code CWJ. Beginning September 16 - December 16, 2002, Walt Disney World will be testing a new Fantasmic! Dinner Package. The packages feature a three-tiered pricing structure with Hollywood & Vine, Mama Melrose and Hollywood Brown Derby participating. As always, packages are limited. Reservations for these new dinner packages can be booked now. "It is rather for us to be here dedicated to the great task remaining before us -- that from these honored dead we may take increased devotion to that cause for which they gave the last full measure of devotion -- that we here highly resolve that these dead shall not have died in vain -- that this nation, under God, shall have a new birth of freedom -- and that government of the people, by the people, for the people, shall not perish from the earth." The price for an adult single day ticket to any of Disney's four theme parks has been raised $2. Prices of other tickets have increased as well. According to Disney spokesman Rick Sullivan, "the increase was timed for the end of the summer vacation season." Would You Buy Tickets Before Leaving Home? Walt Disney World Resort has unveiled a new, advance-purchase program that offers substantial savings on multi-day tickets for its four theme parks. With the Advance Purchase Savings program, beginning Sunday, Sept. 8, guests who buy select multi-day Park Hopper tickets before they leave home can save up to $12, versus the price for the same tickets at the theme park gate. The problem is, this new program seems to replace most of the former Disney Club, leaving members feeling like they were left out in the cold. Florida residents can now experience, at an unbelievable price, the extraordinary artistry and high energy of the internationally acclaimed Cirque du Soleil® production La Nouba at Downtown Disney West Side in Walt Disney World Resort. Tickets are available now at 20 percent off regular priced admission for performances between June 16 and Sept. 30, 2002. Restrictions apply. Tickets must be purchased in advance by calling 407/WDW-7328.